According to reports, Godrej is seeking a change in the project alignment so that nearly 3.5 hectares or 8.6 acres belonging to its infrastructure arm gets out of the project route map. 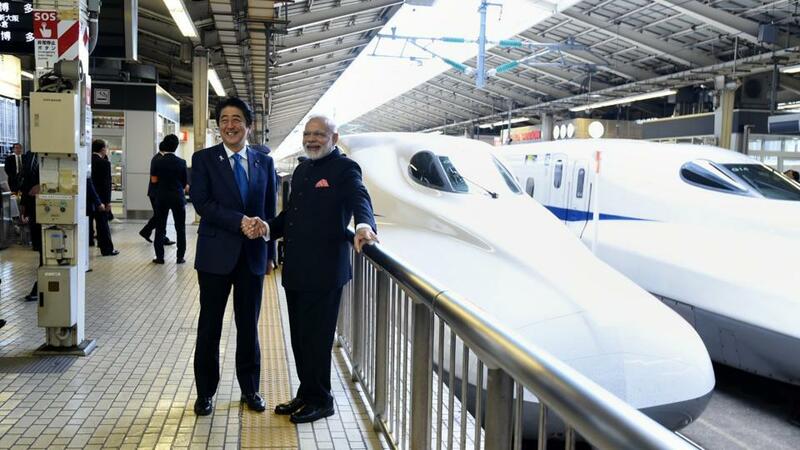 New Delhi: Land acquisition woes for Prime Minister Narendra Modi’s flagship bullet train project are far from over, with Godrej Group joining the ranks of parties raising issues. Over the last few months, protests over land acquisition have been restricted to local farmers and tribals. The project’s implementation is scheduled to start in January 2019. If land acquisition is not completed on time, project implementation could get delayed and escalate cost estimates, according to experts. According to a news report published in Business Standard, Godrej has moved the Bombay high court to stop the Centre’s plan to acquire its Vikhroli property, valued at over Rs 500 crore. If the court rules in favour of the corporate house, authorities will have to either change the track alignment of the project or invoke the Maharashtra Land Acquisition Act of 2013 to forcibly acquire the land. The National High Speed Rail Corporation Limited (NHRCL), the nodal agency for implementing the bullet train project, has also been facing local resistance in Palghar in Maharashtra for acquisition of land. About 7,000 farmers, 15,000 families and 60,000 people are already on the list of probable land losers for the Rs 1.08-trillion bullet train project. A large number of landowners have been protesting land acquisition. After initial difficulties in moving ahead with its land acquisition plan in the Palghar district of Maharashtra, the NHRCL had recently claimed headway, saying its strategy to rope in women had worked. According to the project developer, it roped in female residents from 73 local villages and entrusted them with the task of facilitating communication between the village heads and National High Speed Rail Corporation Ltd engineers for the joint measurement survey. It also adopted the same strategy at other places too. So in March, when the Maharashtra government identified a piece of land in Vikhroli, it was seen as crossing the last hurdle. That was the last piece of land required in the city limits. The Mumbai suburban collector’s office wrote to the owner, the Godrej group, for acquisition. Of the total 508 km bullet train track between Mumbai and Ahmedabad, 21 km will be in Mumbai, all underground. The Godrej land is where the train will enter the tunnel. The land will be used for ventilation ducts. Godrej is seeking a change in the project alignment so that nearly 3.5 hectares or 8.6 acres belonging to its infrastructure arm Godrej Constructions gets out of the project route map, said the Business Standard report, citing a government official. The project has also faced strong resistance from farmers and tribal villages, especially in the Palghar district of Maharashtra. Indian Railways is acquiring around 1,400 hectares of linear land in Maharashtra and Gujarat at a cost of Rs 10,000 crore. The Modi government wants the Japanese contractor to advance completion by a year to coincide with the 75th year of India’s independence in 2022. However, that goal now looks difficult given the legal hurdle put up by Godrej. The bullet train protesters have also got moral support from E. Sreedharan, the ‘metro man’, who recently slammed the project, saying it would be beyond the reach of ordinary people and would only cater to the elites. A retired Indian Engineering Service officer, Sreedharan has served as the managing director of Delhi Metro from 1995 to 2012. “Bullet trains will cater only to the elite community. It is highly expensive and beyond the reach of ordinary people. What India needs is a modern, clean, safe and fast rail system,” Sreedharan said in an interview to the Indian Express. The success of the strategy had revived the hope that land acquisition for the project will be completed on time. But Godrej’s legal challenge stands to undermine this hope.